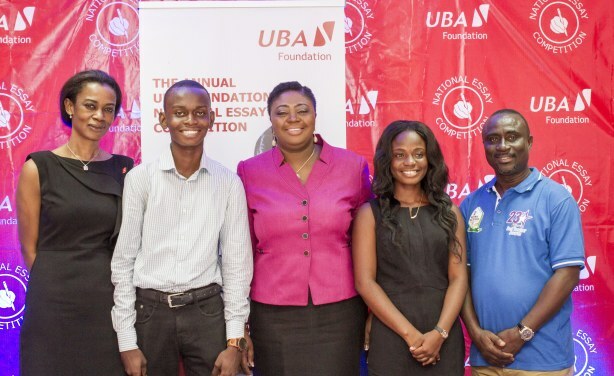 UBA Foundation, the corporate social responsibility arm of the United Bank for Africa Plc, is calling on all Senior High School students in Ghana to participate in the 2017 edition of the National Essay Competition (NEC). 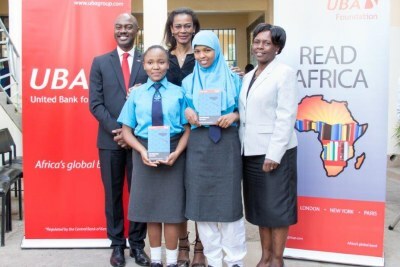 Launched in 2014 in Ghana, the competition provides a competitive platform to develop the intellectual and writing abilities of Senior High School students in across Africa. Read more. More about UBA in Africa in this BRIEFING. L-R: Bola Atta, CEO, UBA Foundation, Frederick Asante, previous winner, Mrs. Abiola Bawuah, CEO, UBA Ghana, Dorcas Asante, previous winner, Augustus Owusu-Agyemfra, Deputy Director, Secondary Division, Ghana Education Service at the kick off of UBA Foundation's National Essay Competition 2017 in Ghana.